There no doubt are a number of easter eggs in 'Big Hero 6.' 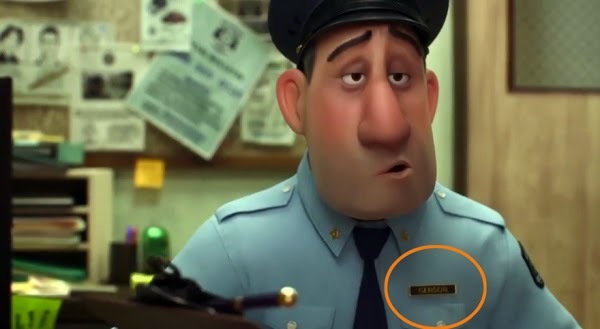 For the uninitiated, 'easter egg' is our term for subtle inside jokes which Walt Disney Animation Studios places as inconspicuously as possible in its films to keep obsessive film geeks like me off the streets. In that sense, they do a real public service. Some think one of the pictures on the left side of the pin board is of Flynn from 'Tangled,' but I don't see the resemblance. What do you think? So, if you have seen 'Big Hero 6,' you know that there is a scene in a police station. 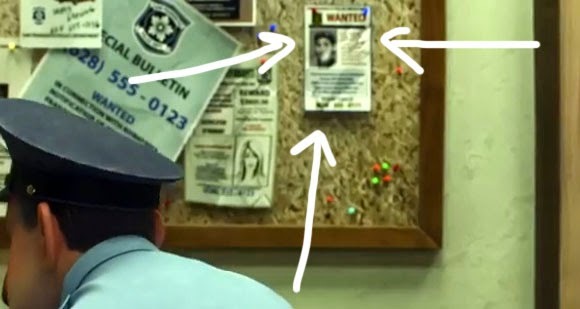 On the pin board behind the rather sarcastic cop is a bunch of clippings which appear to be 'Wanted' posters. Of course, if you 'want' to put something in a Disney film, and 'want' it to be as unnoticeable as possible to the general audience, you put it on a pin board (just as Pixar did in 'Up'). 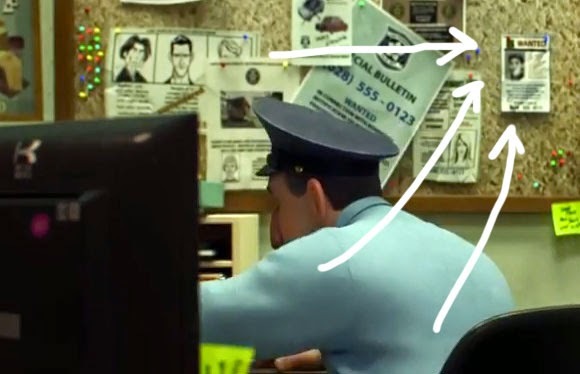 And just as naturally, if you are a film geek looking for hidden easter eggs and have way too much time on your hands, any pin board in a Disney/Pixar film draws you in like Superman to Kryptonite. So, if you have happened to notice all those stills from 'Big Hero 6' that I put on this page, you also noticed that, yes, there's something on that darn pin board that is of interest. Now, who could that be? Well, I don't want to spoil it for anyone. 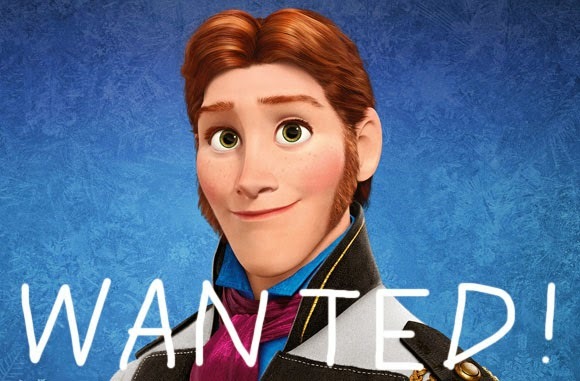 But maybe Prince Hans is on the loose again! Could this be a ... clue about 'Frozen 2'?????? We'll probably have to wait about ten years for Disney to complete the sequel to 'Frozen'to find out. Oh, and one last thing - you're probably thinking to yourself, 'I knew that.' Well, did you spot this easter egg?